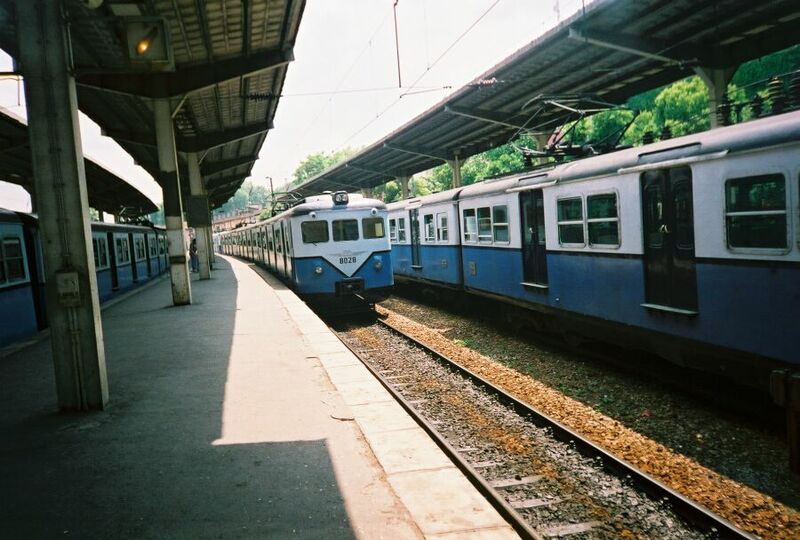 As of 2004, nearly all the E8000 are still soldiering on, nearly 50 years after their entry into active service on the European side suburb of Istanbul. 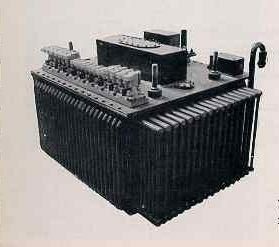 The E8000 were built in the pioneering days of the 25kV 50Hz, a technology that still in its infancy in 1955. 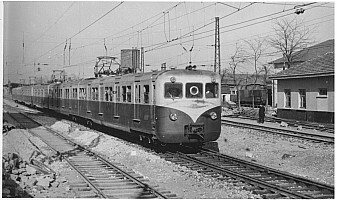 Main line 50 Hz electrification had barely begun in France and TCDD was the first export customer of Alsthom for this technology. 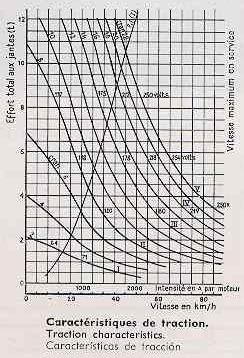 Since then, 25kV 50Hz became worldwide standard. 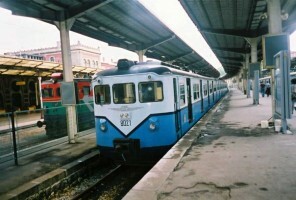 From a railway historical perspective, the E8000 are maybe the most important piece of railway equipment ever in Turkey. 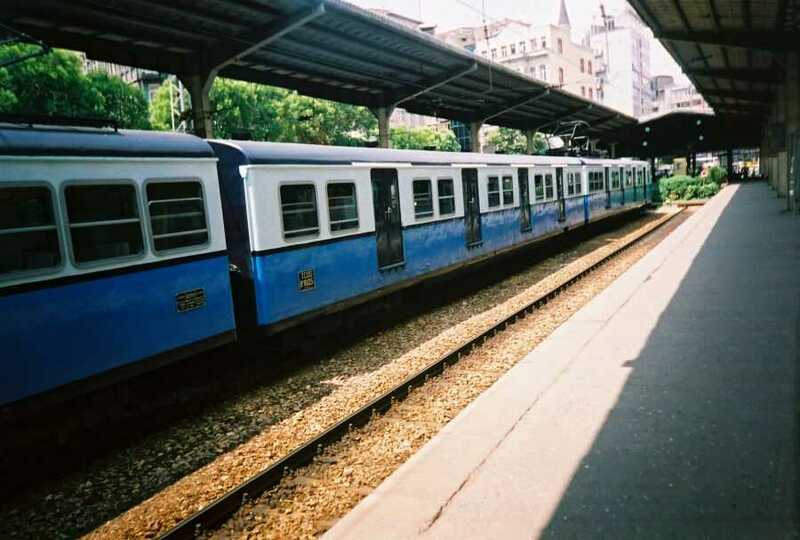 Alsthom as main contractor and supplying traction motors, bogies, the throw-out switch, and the battery charging equipment and the auxiliary compressor. Jeumont for the whole of the electrical fittings, the installation and erection of all electrical parts. De Dietrich & Cie, the bodies of the vehicles and their interior equipment. The E8000 are composed of three cars: two motor units and an intermediate trailer. 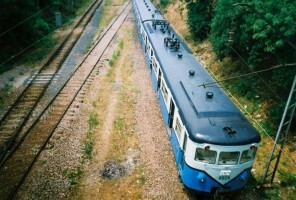 The design of the cars is quite modern with a rounded streamlined cab and body. All the electrical apparatus is concealed under the floor, behind rounded skirts. 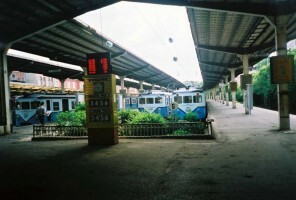 The motor units are identical except for a luggage space present only in the C unit. All the cars have four sets of sliding doors per sides. 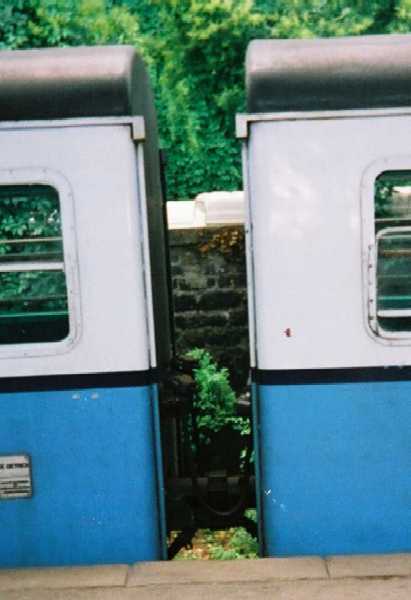 These doors are designed for high platform only. The E8000 had a fourth car locally made and added to expand capacity. However, the additional weight curtailed the acceleration of the E8000, which was already poor. This trailer was then removed. Each motor unit has one motor bogie with two nose suspended motors. 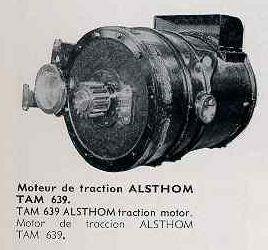 These motors, type TAM639 are direct AC motors, also known as collector type. They are an adapted design of the original Alsthom TDM627 of SNCF BB6052. 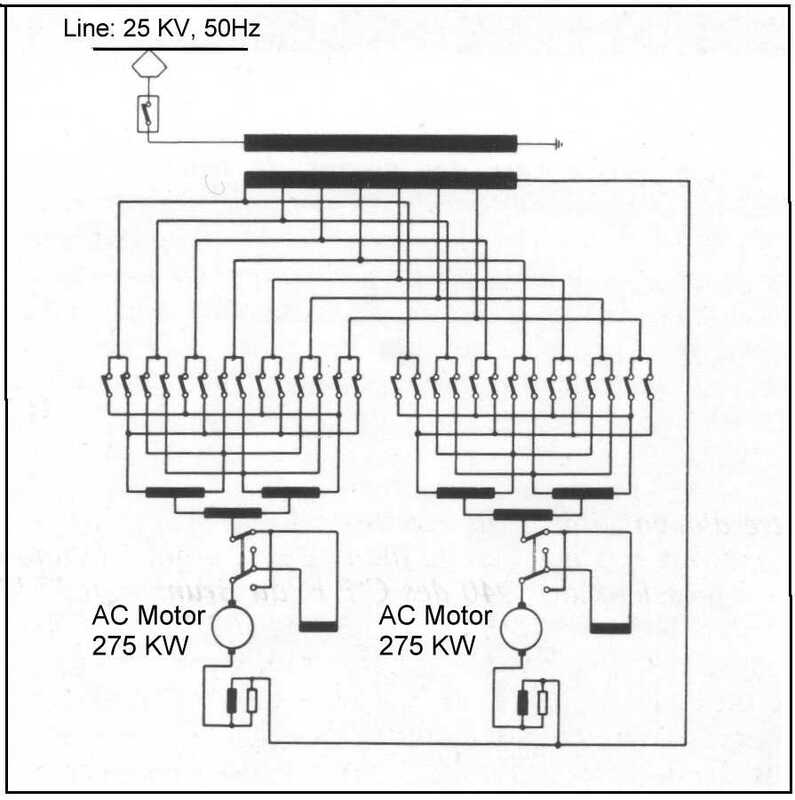 Each motor is fed by from the main transformer by an independent circuit. The motor voltage is controlled through a Jeumont Heidman voltage regulator, which uses a cam-operated contactor with a servomotor. This can-operated contactor is derived from a common DC current design. Both the transformer and the contactors are located under the frame. The unit has a Sharfenberg automatic coupling and up to three racks can be coupled together. The unit also has a deadman equipment and a semi automatic anti wheel slip device. 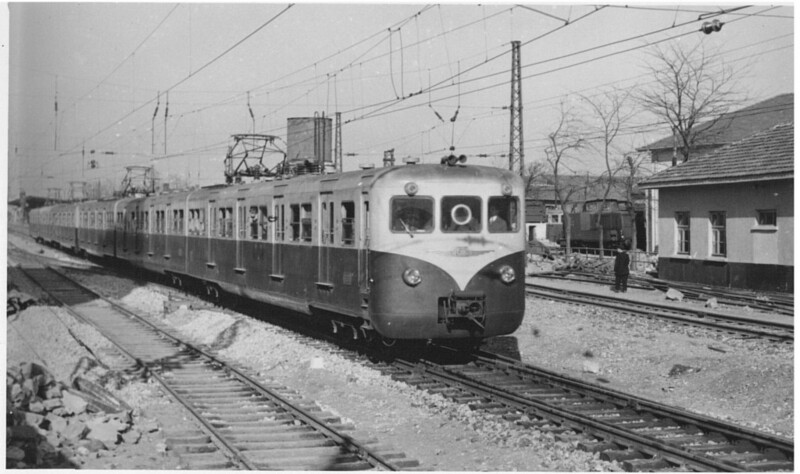 The EMU had most of their life a white (cream) and red livery. 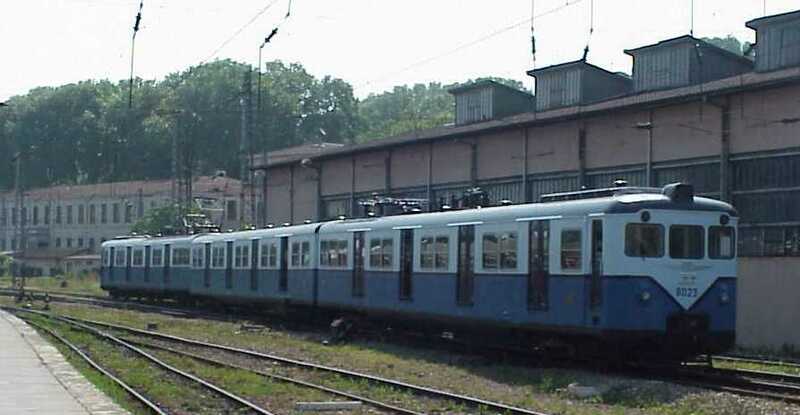 It was replaced in the 1990's by a white and blue livery. 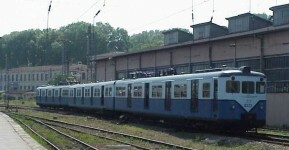 Very recently, some units received a very modern white and blue livery with a red strip just under the windows. Their overall appearance was kept the same apart from a few minor variations, especially to the front end. The E8000 were designed for the Sirkeci Halkalı service and they spend almost their entire career there. 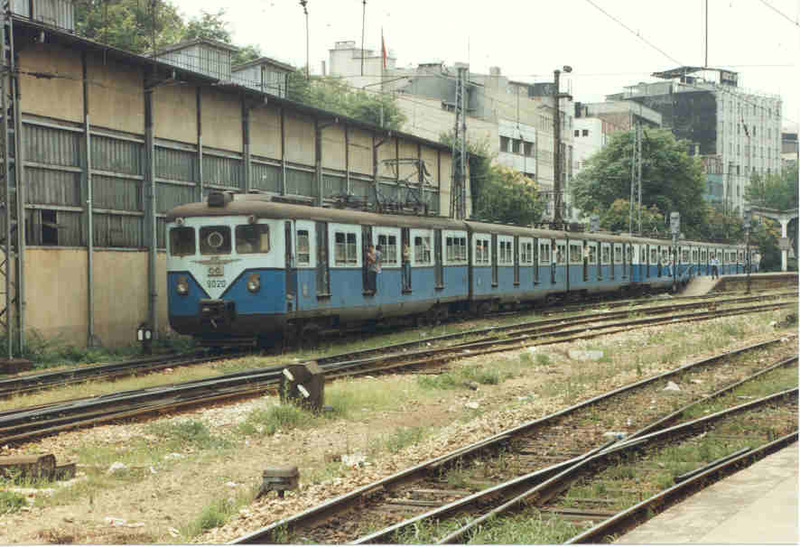 When the Haydarpasa Gebze line was electrified, they did some service there until the 14000 arrived. Today, the E8000 are living vintage units. 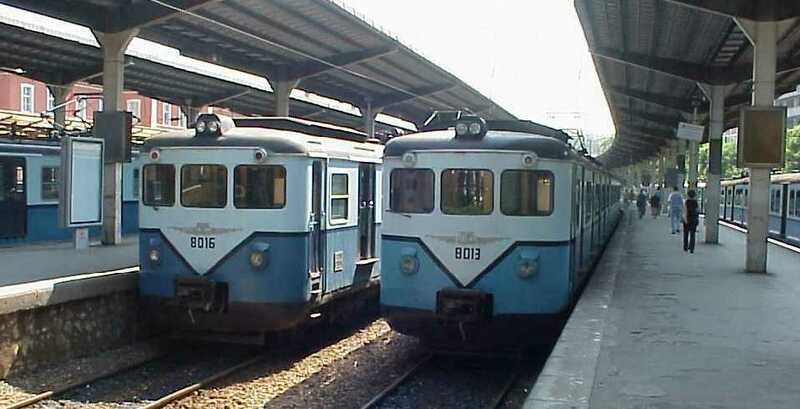 There are rumors that they will be taken out of service in the coming years, they certainly deserve a place in a museum now. Until then, I much recommend a short trip on board the last direct AC motors in Europe. 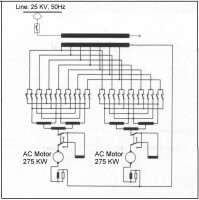 E8000 Electrical diagram showing schematic wiring for one motor car (i.e. one motor bogie). The direct AC motor can easily be seen. E8000 overall drawing. 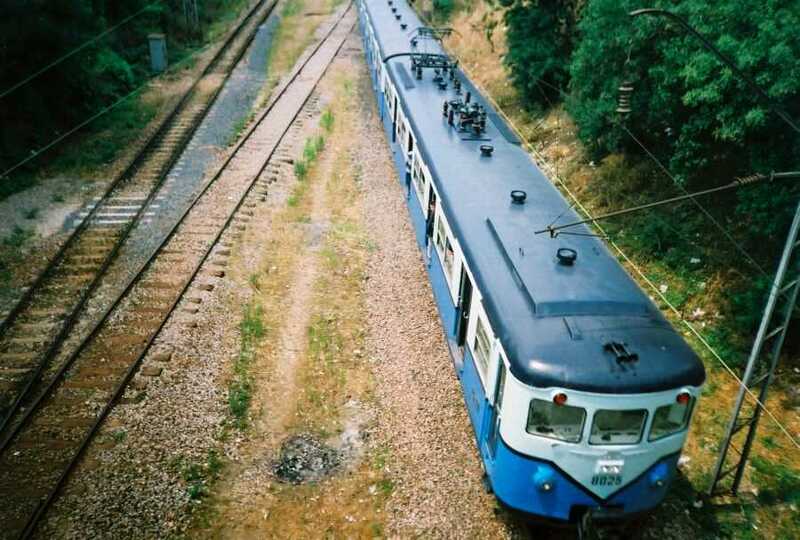 In normal running condition, both pantograph are raised since there is no 25 KV line along the train.